Someone lay me down a sick beat. We goin' ham. using Gears of War and Halo as a replacement for dames. but my friends names are much better, mine can't hold a candle. think about the wannabe gangsters I can mock-a. my satirical skills will make their heads hang. hammering my controller, I type "Dr D Rizzle". "Dr R Dizzle" sounds just as stupid, I guess. but I kind of got used to it as my online voice. 'Don't choose an online name while trying to take the p*ss'. 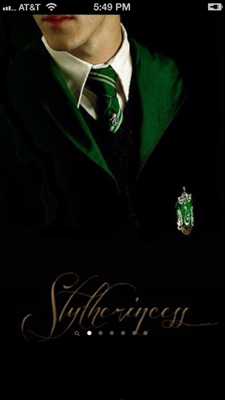 "Slytherincess" is, unsurprisingly, a combo of "Slytherin" and "Princess". I've had this online handle since 2002. I first read Harry Potter fan fiction at a site called The Sugar Quill, and I participated in their forums. I basically liked their site, but it was very restrictive -- for example, the site would only archive fan fic with what they considered to be canon pairings -- Harry/Ginny, Ron/Hermione, and Sirius/Remus (whom the site administrators considered a canon pairing). If you questioned their restrictions, even in light conversations on their forums, your post would disappear -- that kind of BS. Oh, and, uh ... Slytherins were definitely not welcome there, and I had felt an affinity toward Slytherin since the first time I read the first book. Why? That's a whole 'nother story! I joined this Stack Exchange to ask Wheel of Time questions. 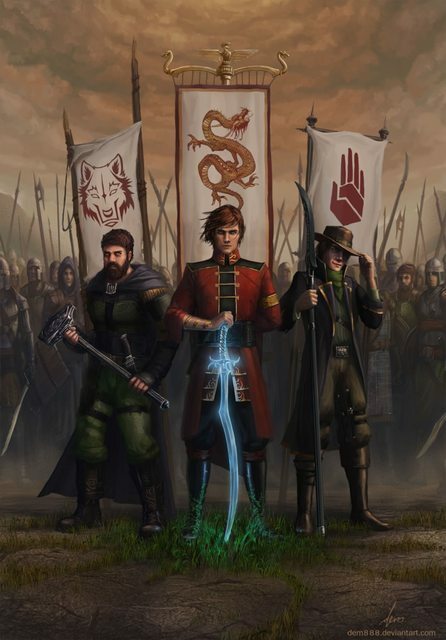 Rand al'Thor is the main character in the Wheel of Time series, and also someone I can identify with personally in many ways. Nobody else had taken that username (at the time, I didn't know usernames could be duplicated), so I used it. If it had already been in use, my second choice would have been Aragorn. I just love cheese. That's it. You might want to take a cup of coffee and sit down for this. Well, it all started in 2007. The world was a much more innocent place, or was I younger and more innocent? Who's to tell? Anyways, being on volunteer work in Haifa Israel, a bunch of my friends and I started calling each other "Freak", you know, in a cool way. Hey Freak, how's it going? I was gutted, how could these girls exclude me in this little, random, meaningless but oh so exclusive club, when I was such a strong impetus of its creation? Yeah, na, I was having none of that. So I spoke to my "sister" from the clique (who wasn't really my sister but looked exactly like me - weird huh, "freak"-y even, lol), so everyone called us siblings. After a long while we convinced them to let me into this clique (and I even owned my new moniker - "Freak Wannabe"). Now my sister and I started calling each other "Mooz" because it was just shorter and funnier sounding than "Moozaroot". A few of my younger cousins and friends have taken the 'Mooz' post-fix to their usernames too. I've sort of got a mini clan going, tee hee. And there you have it, a small narrative titled "Mooz". so, the next time I act like a "freak", you will know that it's because I am. The 'umlaut mark' doesn't actually mean anything to me, it just looks cool AF! And I found I have rather a tendency to make lists of everything. No matter the question; if I answer anything, it's often in list form. So, that's what I do, I make lists. Organic marble! It's gluten free, absolutely no BPAs, non allergenic, and crunchy! Contains only trace amounts of uranium! Accept no substitutes for this all natural product! I stack, therefore I am. I build Lego for public display. My builder's name is Major Stackings and denotes the utter importance of each and every creation I put together. ;) Although I build whatever captures my interest, I'm mainly into micro scale & miniland scale MOCs (M.O.C.s, in Lego language means my own creation(s)), so, to me, the name Major Stackings is pretty funny. I use it here, because, you know, Stack Exchange sounds like a Lego swap meet. I'm named after a far away moon. In the year 2293 of the Prime Timeline, I exploded due to over-mining. This caused an ecological disaster on my parent planet that led to two warring empires not really fighting anymore. I still have a very dog-eared and taped up copy that was printed in 1966. Not a first edition, or anything, just old. Yes, I know there are people who read it every year. Every now and then I pick it up and just read a chapter or two. So I wanted my user name to reflect that. Also, I grew up in an area where peregrine falcons are indigenous, and I wanted to pay homage to them. And, of course, Pippin’s real name is Peregrin Took. And, of course, a “rook” is a kind of bird. So it all fell into place. Also, I like chess, although I’m absolutely no good at it. 1 Yes, I remember when telephones had “dials”. And, yes, we did ride dinosaurs to school. I am a competitive ballroom dancer and have a serious passion for all three types of tango, which is Argentine, American, and International. I was originally TangoOversway since, when I first logged on, the system wouldn't let me use Tango, but found later I could change it. In American tango, there is a move at the lower ability level (Bronze) called the Oversway. It is, for that level, a particularly challenging move, but looks awesome if you get it right. So combining that with the dance name seemed a good choice. As for the different kinds of tango, my favorite (and my fiancée's, as well) is Argentine tango, which doesn't have an oversway and generally is not used in competition. Argentine tango is just a beautiful, passionate, and sensual dance. International tango is used mostly for competition and American tango is used for competitive ballroom, but also used for social ballroom. What can I say? I just love to tango! If you can't figure out my real name, I'm not going to tell you. It's pretty obvious. If you're having trouble figuring it out, Google the word "spoonerism". Back when online gaming meant telnet, I was younger. And stupider. I may have just repeated myself. I was just discovering the internet when I heard about online role playing. Friends liked MUDs, but I found myself drawn to MUSHes, which had less numbers and involved less killing harmless level 1 critters for an hour. The biggest MUSH I found was Elendor, and it was based around Lord of the Rings (big enough that it may even still be around, I haven't checked). So I registered an account, thinking thoughts of being Gandalf. Everyone has those thoughts. There's a big sign that says "book characters are reserved, don't try to make one" for a reason. Naturally, being young (and denied), I took umbrage and for the next infinity of fifteen minutes tried to think of a character minor enough to sneak in as. I finally came up with a name that worked to my delight. Remembering my silliness, in a later RPG that year I just rearranged the letters again, to create Radhil. Almost by accident, I also created a character that knew many stories and how to draw the wisdom from them, something I rather desperately wanted to emulate at the time and until that moment hadn't realized or figured out how to put words to it. It took more years still, but I did learn the trick, and still am. So twenty years on, I still use the name. It reminds me I can be silly and stupid at times, and also that I can learn. Sadly, I didn't have any strong convictions about a user name before I joined. I happened to be in the process of watching Avatar at the exact moment I signed up, and I ended up typing in avatar_sully. I'd like to say it's some sort of high-browed life imitating art thing (my user account being an avatar of me), but...no. It was just extreme laziness. And the silly thing is, I don't even really like Avatar. I've thought about changing my user name, planning it out in my mind that I would go to my profile page and click that Edit button. But I'm just to lazy to move the mouse there. It seems right that I should be punished for my laziness by being condemned to live out my online life with not the user name I need, but the one I deserve. Originally, I went around the Internet as Broseidon, which I stole. However, that name was reletively common and I need to be a special snowflake. So, I took Premier Romanov from Red Alert 2 and added a B to make it BROmanov. Because I'm very clever. I grew up with the Command and Conquer series, so it was only natural. After 3-4 years of having my own unique handle, I've found it stolen by another steam user and now I weep every night. In case you were wondering, my username is "Often Right". Now, if you're a Trekkie and you don't know who this is then leave this site now - just joking! Way back when, when xbox live was first becoming a thing. Me and my older brother wanted to play online. We spent the night setting up the router and such (Old model even for 2005-7 or whenever it was) so we didn't actually get online that night. I go to school the next day and just come home to him playing online on some random named account and i ask why it isn't with my account. It was my account but my name was taken and so he decided in his infinite wisdom to random name generate a new account name for me. Needless to say I wasn't happen but it has long since grown on me and spread to every corner of my internet ID. Crazy. It's actually really good considering how unique it is, it has only ever previously existed once. Stupid twitter. Also I'm apparently some fruit with a seed in the center or something, who knew! The first online community I heavily participated in was a Kingdom Hearts forum, and sometime after Kingdom Hearts 2 came out there was a thread where everyone posted their Organization XIII names. For those unfamiliar with the game, the Nobodies in Organization XIII created their names by taking the names they had back when they were human, rearranging the letters and adding an X. So my real life name of "Eric" became "Ixrec". I quickly realized that this would make a good username as it was fairly short, distinctive and had essentially zero google hits, so I've been using it consistently on every other site and community I've joined since then. I was looking for an obscure nickname for one online messaging board or another. 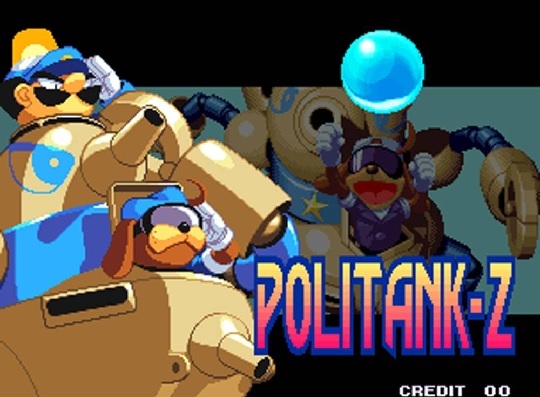 I was playing a game called Waku Waku 7 at the time, which featured a character called Politank-Z, which was a walking tank piloted by a Mario-like character and his dog. It fit my criteria at the time: absurd, obscure (the only web search references I found to it were to the video game), and non-identifying. I have stuck with it, for the most part, since. I've got a name, I've got a name. I wanted to promote an Area 51 initiative I created about wikis, first called "Wikis and Wikipedia" and then "Wikispeedia". We weren't getting enough people interested so I changed my user name to "Wikis at Area 51", an initiative which delivered zero impact. My user name, RedCaio, is inspired by my real name. "Red" is part of my last name. "Caio" is a Portuguese name that, when said aloud, sounds like "Kyle", which is my middle name. I speak Portuguese so I thought it was neat. I've used CaioRed and RedCaio interchangeably on different sites. You'll notice my profile has links to my QueekyPaint and YouTube accounts, the usernames for those are CaioRed and RedCaio respectively. My display name on this SE community comes from a Character from George R.R. Martin's epic fantasy series A Song of Ice and Fire. Most of the people who are familiar with the work assume that it's after Aegon I 'The conquerer' Targaryen but in fact it is after Aegon V 'the fortunate' Targaryen. (Aegon I was a useless bloke who wasn't really a very good ruler). I did toy with picking the name "Aegon the Answerer" (Because it kinda sounds like Aegon the Conqueror) but then I thought it is too weird. So Aegon it is, Seven bless our good king Aegon V.